The entire week from June, 22, there were significant events as a part of the Festival rAsia.com, incendiary gala show and noisy parties, art exhibitions and film screenings happened at various venues of Moscow. A series of events merged into a real holiday, created by the most popular and talented actors of the contemporary Asian art. Moscow citizens and the guests of the city had a great opportunity to observe what a diverse and unique phenomenon the culture of Asia is, and to appreciate the mastery of invited guests. Almost every day shows and parties featuring stars from Japan, Taiwan, Indonesia, Singapore and Russia, playing in a variety of dance styles and techniques took place at concert venues of Moscow. The audience cheered, it was a true success of Asia in Moscow! The audience was completely charmed with a wonderful voice and admirable image of Indonesian singer Elva Patty whose creativity is award-winning. By the way, soon Elva is going to seek for a public acceptance in the contest "New Wave" in Jurmala. Elva sings soul and r‘n‘b in several languages: Indonesian, French and English. Unrestrained dancing mood was created by the world-wide popular DJ-projects—BOLDO and RED. BOLDO is a duet project of the leading Japanese DJ Ken Harada (he is the author of main music theme for MMA Entertainment "PRIDE FC" and the legendary Formula 1) and a brilliant femalevocalist Ceyren. Their first single is going to be released this summer. RED, the Taiwanese music band, was created by music producer and arranger DJ Code together with vocalist Shao Shih. Their compositions have completely unique sound due to the symbiosis of electronic music, sensual vocals and traditional Chinese instruments. A gifted young guitarist, songwriter and singer Sezairi Sezali performed deep melodic ballads. Being a young guitar music genius from Singapore and the winner of «Singapore Idol», Sezairi creates a highly emotional and expressive compositions which surprisingly were at a big city’s audience taste. Russian artists also appeared on the stage: Sayana Makarova, Vika Orbodoeva, the group “Altyn-Tuu”, Slova Band and DJ Emperiax. To see the latest Asian films in panoramic format in the Digital October Center a special area was created where everyone could literally dive in the inviting and colourful world of Asia. An art exhibition Art@rAsia.com became an absolute success, it was held in D.E.V.E. Gallery Moscow in the Red October Center. There were paintings by artists from Japan, Indonesia, China and Korea, as well as works of Russian artists who have committed their art to oriental culture and philosophy. The visitors could see the works of outstanding contemporary artists: Minako Ota (Japan), Ekaterina Abramova (Russia / India) SeungEunLee(Korea), EricaHestuWahyuni(Indonesia), Julia Repikhova (Russia / China), Zhou Xian Yun (China), Svetlana Tverdova (Russia) and AdnanTripradipta (Indonesia). Next year rAsia.com will continue introducing such a distant and at the same time close, intuitive culture of Asia to Moscow citizens and visitors of the city. And of course, this event will give people new and unforgettable impressions again. 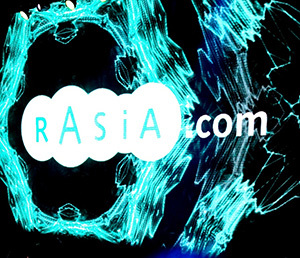 From June, 25, to June, 28, rAsia.com will present a harmonious symbiosis of mutual influence of European and Asian cultures and will make its contribution in creating a cultural bridge between Russia and Asia. To participate in the Festival the representatives of actors, artists, filmmakers, and other creative individuals apply in advance and then they are selected by the program committee of rAsia.com. The people who took part in the Festival this year and their works have already gained fame and popularity. The question is who is going to present rAsia.com next year? You can apply right now by email concert@rasia.com. Do NOT miss your chance!